Thinking of getting certified for an upcoming vacation, but don't have the time to put into a regular diver course? Now there's a quick and easy programmed designed especially for you! The PADI Scuba Diver program is a pre-entry level certification that is perfect for vacationers or people who only plan to dive a couple times a year. As a subprogram of the PADI Open Water Diver program, the PADI Scuba Diver rating allows you to get certified quickly and easily by minimizing time constraints. With the PADI Scuba Diver certification you can dive under the direct supervision of a PADI professional on your next vacation or dive trip. 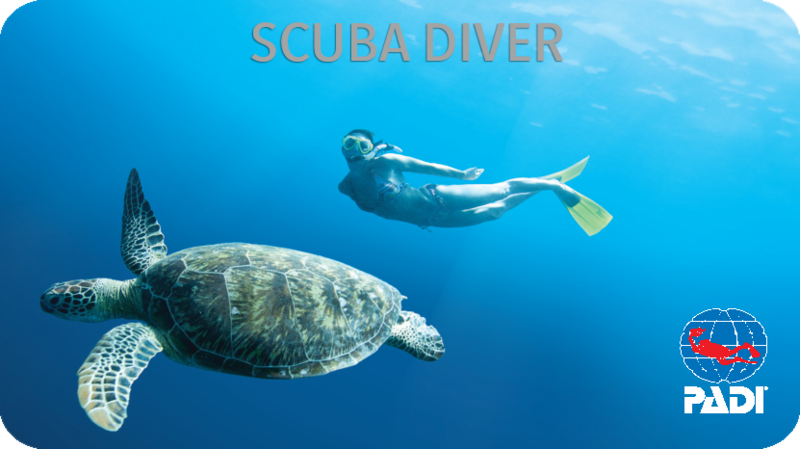 During the course you will use the PADI Open Water Diver Manual and Video. Credit earned in this program can be used toward the Open Water Diver certification. The Open Water Diver course uses the same materials as the Scuba Diver course, so already you are on your way to continuing further dive adventures.